Saw this ancient possibly Eastern European looking automobile at the weekend. Appears have a fibreglass body, not a particularly pretty car, but noticed the chrome badge on the back looked like Hebrew. There was elderly gent sitting in the car asleep and it was parked in a rather dangerous part of King George Street, a busy main road. Like a lot of other Mediterranean and Middle East countries, there are quite a few ancient cars around especially old Fiats, unlike a rainy country, rust seems to be less of a problem. 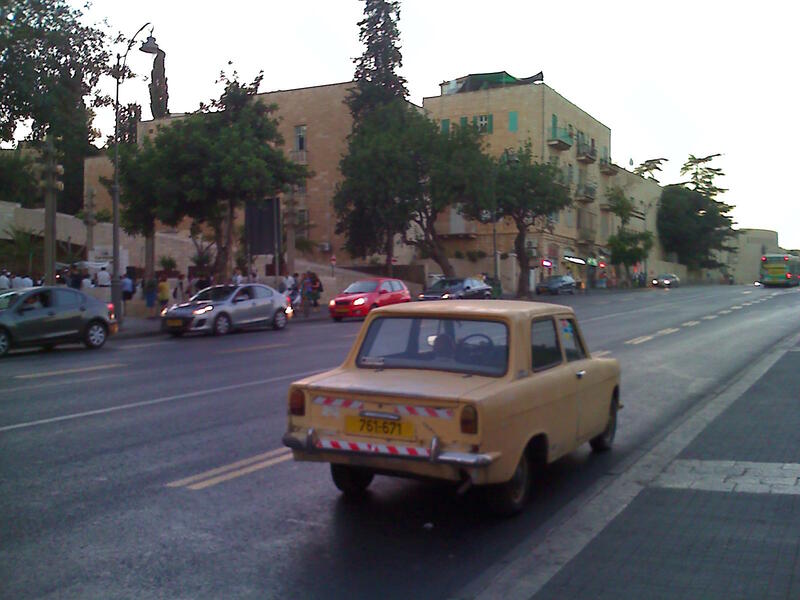 This wiki article on the Sabra / Autocars business of Haifa is worth a read. Seems these cars were nothing special and were not able to keep up with more established makers. Nowadays a small number of military vehicles are built in Israel are still made today.